An Iranian high-ranking official says the US president’s use of madman strategy to coerce the world into doing what he wants is not effective anymore. Secretary of the Supreme National Security Council of Iran Ali Shamkhani said Donald Trump’s statements on the Joint Comprehensive Plan of Action (JCPOA) lack international legitimacy. 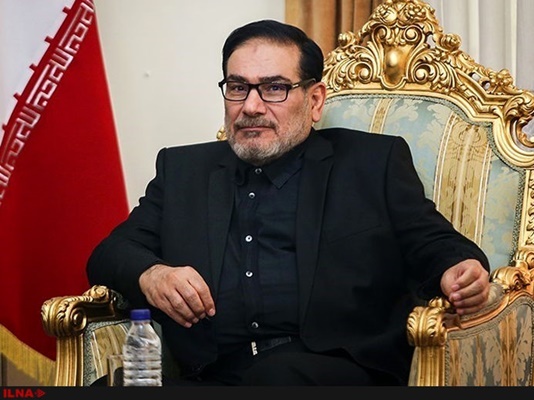 In a meeting with the Syrian Parliament Speaker Hammouda Youssef Sabbagh in Tehran, Shamkhani underlined that Trump’s statement are aimed at fomenting Iranophobia and depriving Iran of the economic benefits of the JCPOA, a Farsi report by Mizan News Agency said on Monday. “Adopting the madman strategy to coerce the international community into doing what we want is ineffective and the ruling officials in the US have isolated the country in the world by their repeated mistakes,” he noted during the meeting. Shamkhani also referred to the great achievements of victories of the Syrian army against the terrorists and said the Syrian nation will decide about its future through their strong will. The Iranian official called on the Muslim world to get united in fight against their joint enemies like the US and the Zionist regime and said the enemies’ first priority is to inflict blow on the security and economic progress of the Islamic states and sow the seeds of discord among them. For his part, the Syrian speaker expressed his country’s appreciation for the Islamic Republic of Iran’s humanitarian aid to the Syrian nation. He also denounced the US’ “illegal and aggressive” presence in Syria saying that Washington is supporting the terrorist groups. “Syria will turn into a new swamp for the US army,” he concluded.